Why are some people more driven than others??? Self-discipline measured in the fall accounted for more than twice as much variance as IQ in final grades, high school selection, school attendance, hours spent doing homework, hours spent watching television (inversely), and the time of day students began their homework. Why are some people driven like this, while others are happy to tread water? 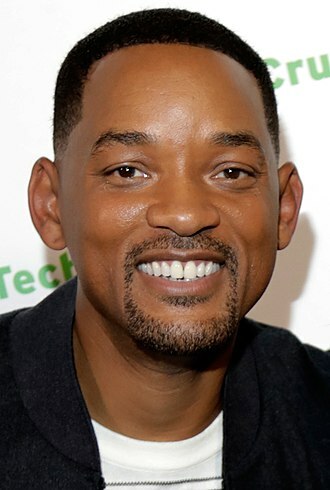 Will Smith is clearly a very competitive guy with a huge work ethic. Where other people would be happy to take a day off, he keeps on working. Where other people slow down, he speeds up. Sounds exhausting! What is behind such a huge amount of effort? I don’t believe that this is a fixed trait, because different people in different cultures and environments will react differently. But I do think genetics play a role. Many traits studied by psychologists have a strong genetic component, according to studies of twins. So maybe the traits that lead to being driven also develop more easily in people with a certain set of genes. I’ve never believed the idea that “All people are created equal.” Clearly, some people are born with better aptitudes in different areas than others. We’re not all born with the same mental blank slate, onto which we can develop in different directions. I’ve talked before about the difference between intrinsic motivation (something you do for its own sake) versus extrinsic motivation (something you do for a reward). Could it be that lack of drive is simply a symptom of doing something for a reward, as opposed to doing it for the pure pleasure of doing it? Michael Jordan talks in his autobiography about how the massive amount of effort he put into training was fun. For him, getting up early every day to practice free throws was scarcely an effort. Not that it’s right to say he has no work ethic — of course not — only that what seems on the outside to be a strong work ethic and “forcing” of behaviours is sometimes less so from the inside. The key thing to keep in mind here is difficulty. In the video above, Will Smith mentions the idea of talent versus skill, of honing your craft for thousands of hours until you’re a master. This gels with Ericsson‘s work on deliberate practice, and the well-known (thanks to Malcolm Gladwell) idea that it takes 10,000 hours of deliberate practice to reach mastery, regardless of the starting skill level. Deliberate practice is different to just doing the activity. It is doing it at the outer limit of your ability. It’s working on those hard, frustrating aspects that actually take effort. If you find a pentatonic scale difficult but could jam along to “She Loves You” all day long, then working on the former contributes to your 10,000 hours but the latter does not. If your craft is something that naturally appeals to you, and you enjoy, so much the better, but you’ll still have times you don’t want to practice, or you’d rather relax, or where you’ve reached a plateau that is hard for you to progress past. Therefore, to the extent that skill level plays a role in success, it stands to reason that grit, persistence, and work ethic is going to play a role in success regardless of intrinsic motivation. As beneficial as it may be, don’t make the mistake of thinking that intrinsic motivation is necessarily synonymous with “high” motivation. I read books for intrinsic reasons, but I don’t always want to read. You could say therefore, that success can stem from something that you’re intrinsically motivated to do, but either doesn’t require high levels of skill, or you already have high levels of skill in. As long as it’s not something mundane like eating. If you can find something like that, you’re home free, so it’s worth considering if any activities like this exist for you. However, there is a trap here. If you’re looking for external success via something you’re intrinsically motivated to do, it could very easily switch to something you’re extrinsically motivated to do when you start seeing it as a path to external rewards. This is particularly dangerous, because as Dan Pink notes, motivation for activities only tends to be increased by external rewards when these are rote, boring, repetitive tasks. Ability on tasks that require creative thought or effort tends to be stunted by the promise of rewards. Maybe that’s why a musician’s second album is usually worse than the first? Maybe some people have a greater sense of purpose behind them, and this provides the motivation for them to keep going even through difficult times. Survival is one such purpose. It’s hard to imaging Chinese factory workers doing 18 hour days in terrible conditions for any reason other than to survive. If they had a few million in the bank, that would seem like an absurd course of action. Being anchored to a purpose might keep people going. When they feel like they want to take a break, they remind themselves of what they are trying to do, and they suddenly feel the urge to continue. This makes sense to me. I think our bodies keep energy in reserve, even when we feel very tired, just in case something of high importance becomes salient. Many a times I’ve been walking down the street, tired and hunched, when I see a pretty girl walking the opposite way. Isn’t it funny? I suddenly find the energy to walk upright and stick my chest out a bit! I imagine this as a kind of evolutionary reserve power store, just in case something comes up that might influence our ability to survive our reproduce. But because our brains are adaptable, and self-programmable, we can “install” a number of rules so our brain learns other occasions it should access our reserve power. The ability to build a sense of purpose might be one such thing. Of the top of my head, I can think of one study that backs this up, where people who reviewed their core values did better in a self-control task than people who didn’t. The need for success itself might serve this role for some. Why would Will Smith rather die than get off a treadmill before you? You could imagine some negative motivations behind this, like not wanting to feel like a failure, or status consciousness taken to such an extreme level that people would rather try to beat everyone that simply deal with that issue. But it doesn’t necessarily have to be that way. Competition can be a tool, something that you use to motivate yourself but deep down understand is essentially meaningless. Beyond competition, the desire to contribute and to serve might provide that purpose. There are many examples of people being willing to put themselves through hell, even to die, for a purpose. This is something we’ve been reminded of in recent years but the mechanism has always existed. If this is correct, the action step here is to install a purpose into yourself, to find the meaning behind what you want to do. There are two ways. One is to determine your values, beliefs and convictions, and pick your direction based on them. This makes sense but is very difficult. If you ask yourself “What do I value?”, “What do I believe?”, it would be hard to know if the answer is “real,” and not something that has been pushed into your head from one of the 10 zillion sources we’re bombarded from in daily life. How “deep” do you have to go to find your true purpose, if there is such a thing, and where does it even come from? The other way is to take your direction, and integrate your values into it. This strikes me as a temporary solution at best since the two probably won’t fit together very well. It’s unlikely you be pursuing a path that’s in line with your core values and not know it on some level. The reverse is probably true as well, if you’re going in a “wrong” direction there’s probably a little niggling feeling that pops up occasionally (but you bash it back down with the perks of the job). What do you think about this? Why are some people more driven than others? This isn’t an extensive list, just a few ideas – what have I missed? Also, what do you think about the “how” side of things. How does one install a sense of purpose for instance? Here’s another question – can the lack of purpose, motivation and genetic propensity be overcome through “techniques?” If you set goals, go over your values, plan your time, etc., is that enough? this was a wonderful article and a key issue for myself and others coaches in my circle of conditioning. I have worked with very talented, but LAZY athletes, and not so talented ones that did whatever it took on a daily basis to improve themselves mentally/physically. I think it depends on your environment, circumstances and early childhood. That determines your values and how you think of the world. Then it depends on how much you want something. Do you want it very bad or is it just nice to have? Also, it appears to me that what Will Smith is saying is in large extent backwards-rationalization. Die on the treadmill? Literally? I’ve never heard of someone dying on a treadmill. If he didn’t mean it, then why say it? Let’s put him on the treadmill with a marathon runner and see who gives up first. I bet it will be him. And he won’t die. Also, bend the universe? Really? So if I want it bad enough the Sun to go dark, I can do it? Haha. So again, we tend to think that he’s saying all good stuff, because he’s got authority. After all he’s successful. All self-help and motivational materials are full of hyperboles, exaggerations, self delusions, backwards rationalizations and sound-good stuff. I agree. While I find the notion of blaming things on my parents rediculous, I still see that because of their negative abusive (tear down) mentality, my drive has been torn down. Am I wrong? And how does one overcome something like that. I’m coming to the conversation a little late, but thankfully, this topic is timeless. I wondered about the situations where one had drive/motivation (or even purpose), but then seems to lose it. “Mid-life crisis” comes to mind, or any number of significant emotional issues/events might bring this about. Perhaps investigating such circumstances and understanding the mechanisms of losing (and/or finding) drive/motivation/purpose in mid-life would be insightful for all. It’s interesting that people who basically go through similar circumstances in life have been successful while others are not. A famous person once said, “You can be anything you want to be.” Not true as only a select few will become famous talk show hosts, walk on the moon, make enough money to survive comfortably instead of struggle & not be able to afford vacations, etc., become the President (one needs too much money for that, too) & certainly not every kid who participated in sports for the decade he spent in his school years doing it will become a professional ball player. I do agree with the genetics, but there are those with little or perhaps if you can say average motivation become successful due to luck & timing. I also concur with the person who was called negative. Everyone simply does not get a fair shake out here & survival alone is exhausting. And not everyone will find their niche. People do what they have to do in order to survive & not everyone will be able to do even that. It’s not realistic. Unfortunately realistic goals are not always met in what it takes to survive these days. Easy for famous people who have enough money to survive to come up with some bizarre statements. I wonder if they weren’t as successful, they would have the same notions.